Get creative with your wedding ideas. 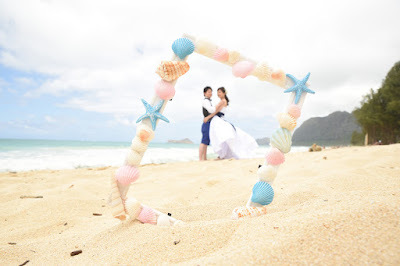 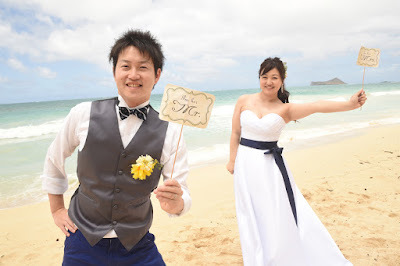 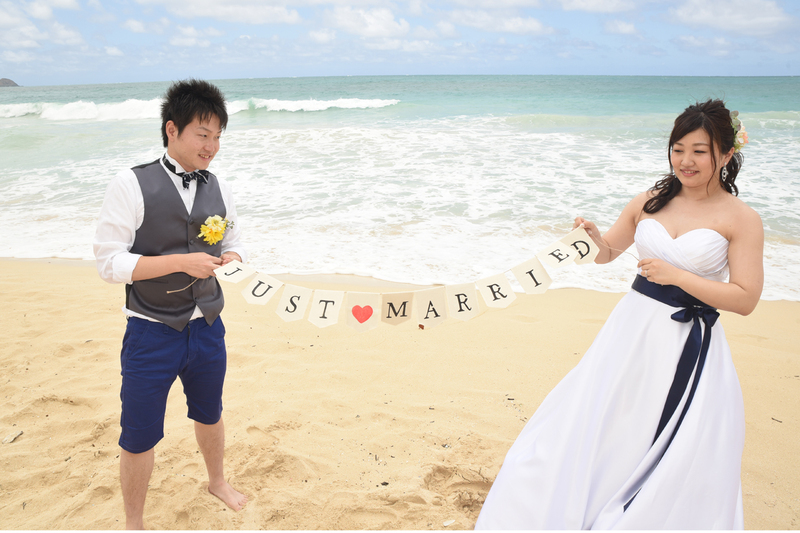 Bring along your favorite photo props for the wedding photos. I like the colorful shell design picture frame. 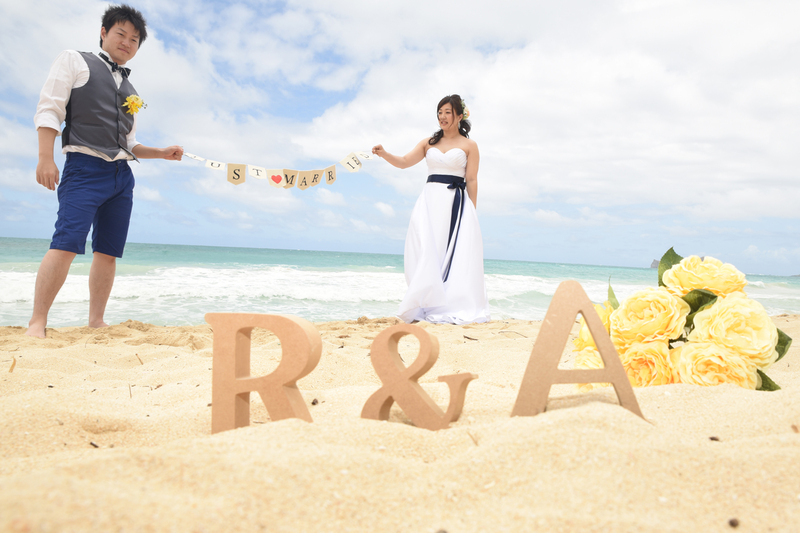 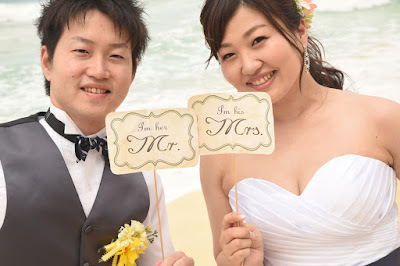 R & A initials stand for Ryota and Aya.